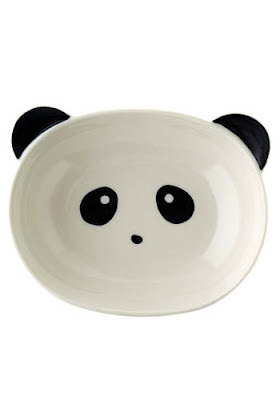 Because I'm a pandadork, I wish all my dinnerware looked like this. Oh, my! What a sweet thing! Okay - I have 3 reasons to be so excited to see this. 3) The lovely soul who gifted the dear Norah the awesome dinnerware has become a fan of your blog. What a fantastic collision of awesome!